Unless you offer your customers relevant content and thus added value in your Newsletter you will not assert yourself and draw attention to your mailbox. But how to achieve this? The BAUR Dispatch e-mail marketing crew asked themselves this question. Personalization is a key factor in e-mail marketing. Addressing a customer personally and individually will ensure a better attention to your Newsletter. The AGNITAS E-Marketing Manager (EMM) does not only limit itself to personal salutations or occasions – the customer’s birthday, for instance – it will also make use of all available customer data. The BAUR team relies on this method. The BAUR team found out that brand affinity was a good way to score with customers. 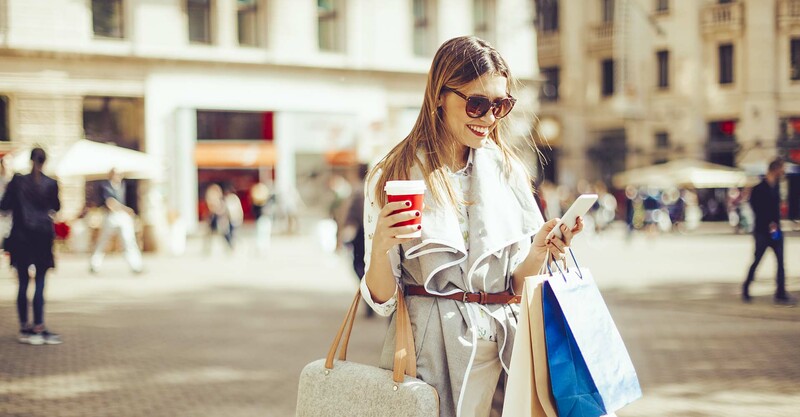 Customer data analysis and benchmarking has revealed that customers who prefer a certain brand are more likely to again opt for that brand at their next purchase. Therefore, BAUR started analyzing customers’ previous buying behaviors to conclude individual preferences for brands. 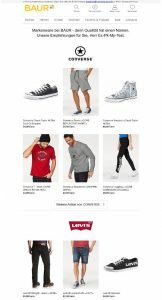 Recommendations for other products in the trusted and preferred brand environment are then compiled for customized mail that will appeal to the specific customer. To render this additional Newsletter as effective as possible, the marketing pros will customize and also automate it. This is achieved using an internally developed algorithm that generates the corresponding data. The data are automatically transmitted to the EMM. Two new reference tables were created in the EMM for this purpose. One table is used to assign customer and brand IDs under pseudonyms. The second reference table contains daily updated product data including the brand IDs. This stored data is regularly synchronized with the ERP system to ensure that the customers will always receive recommendations with the best match. The advantage of this solution: Hardly any manual resources are needed to compile this Newsletter since the template is also adaptable and completed automatically. Apart from the proper recommendations, the look & feel of a mailing process is also important to its success. A customized template was developed for the recommendations mailing to meet these high demands. Specific design rules were followed to ensure that only the optimal design will arrive in the incoming mail of the subscribers. The mailing will thus never display more than three items in a row or will responsively adapt pictures, prices and descriptions. The number of items displayed is limited to six to hold the recipient’s attention. The mailing is dispatched at regular monthly intervals, initiated manually after checking by the team. The system is, however, also designed for future fully automatic and trigger-based dispatch. The objective of personalized mailing was to increase purchases on the basis of the customized offers. 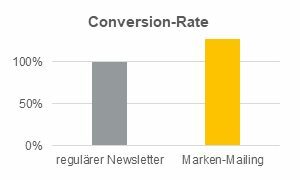 BAUR Dispatch achieved this through analysis and use of customized brand affinity: In A/B tests, the Newsletter with its customized offers achieves a 27 percent higher conversion rate compared to a non-personalized version. Data analysis should show whether you should use brand affinity or another parameter. The Baur Group stands for an economically solid group of companies with a successful and sustained focus on Online business and services in the retail environment. The core company of the group is Baur with the online shop baur.de. The online trade business line is supplemented with the I‘m walking specialty shoe mail order business. The Austrian subsidiary Unito also distributes such brands like Universal, Otto Österreich, Quelle in Germany, Austria and Switzerland as well as Ackermann and Alpenwelt. The Baur Group currently employs around 4,000 people. External sales in the financial year 2016/17 totaled with EUR 667 million. Baur has been a member of the Otto Group since 1997.